We are divided. 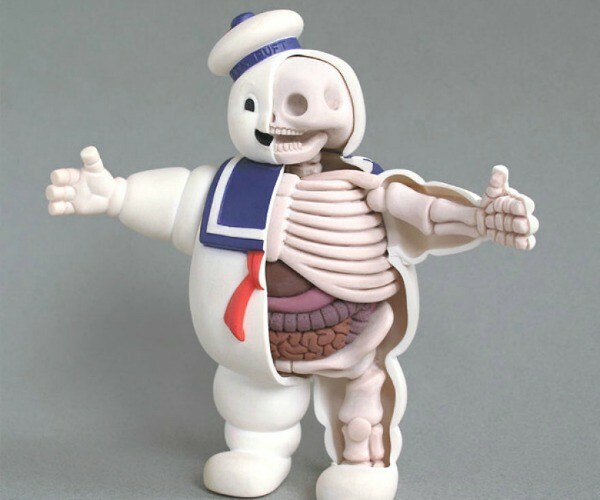 Are these sculptures of the insides of popular childhood toys creepy? Or are they interesting and educational? You be the judge. Come and have a look inside your children’s toy collection, courtesy of a stay-at-home dad whose hand crafted figurines are popping open around the world. 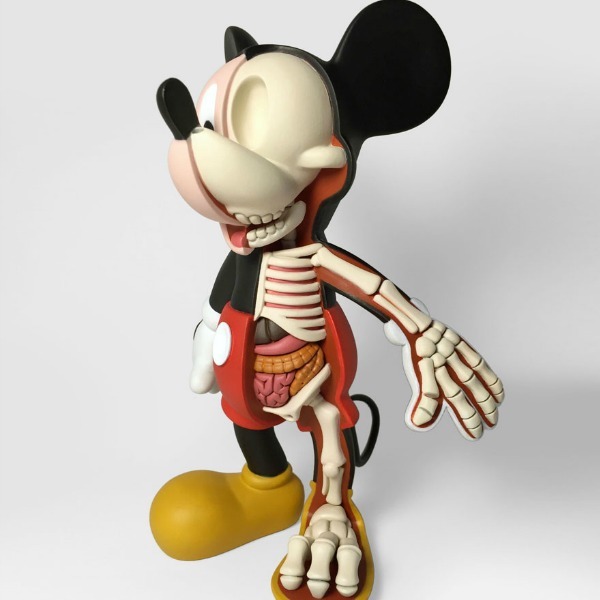 Dare to go where no artist has gone before – behind the plastic of our favourite toys. 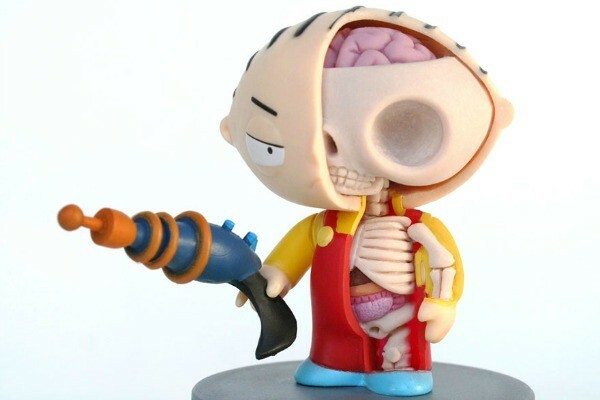 In a cross between Body Worlds and Toy Story, American dad Jason Freeny has come up with something that is truly unique. 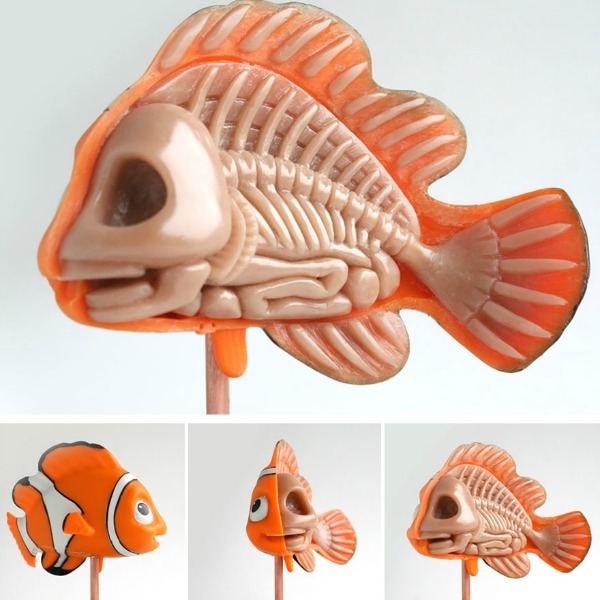 What started as a sculpting side project has become the latest Internet sensation. 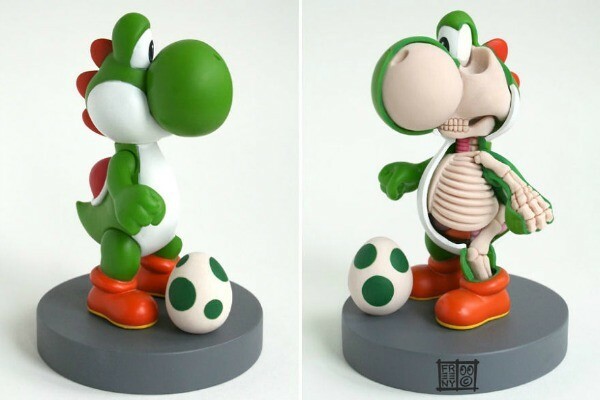 Freeny, who worked as an industrial designer until he lost his job in the financial crisis, sold his first skeletal toy sculpture on eBay for $50, three times as much as he expected. From there orders began pouring in and some sculptures now sell for up to $17,000. Freeny’s sculptures, which take from one month to six weeks to create, are beautifully crafted and designed with detail in mind. 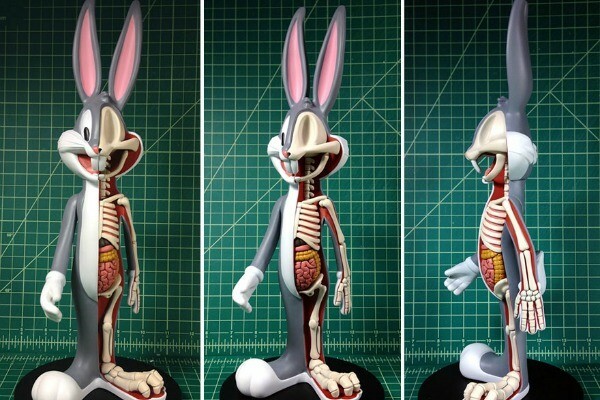 He uses dentistry and pumpkin carving tools to sculpt epoxy into realistic organs of pulled-apart toys. They represent the notion that there is always more than meets the eye and offer children and adults an educational and unique perception on something incredibly common in most households. And it’s transparent that the results are a combination of beautiful and eerie. 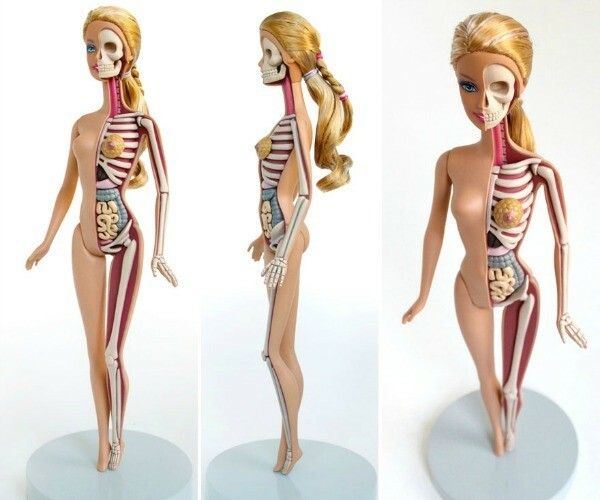 Totally Implant Barbie proves beauty is only skin deep. Or plastic deep. 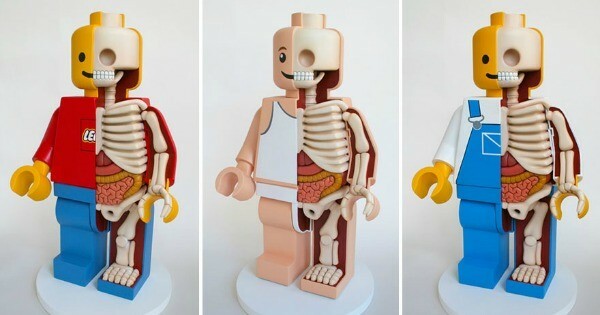 Clearly, for these three, everything is anatomically awesome. No bones about it. 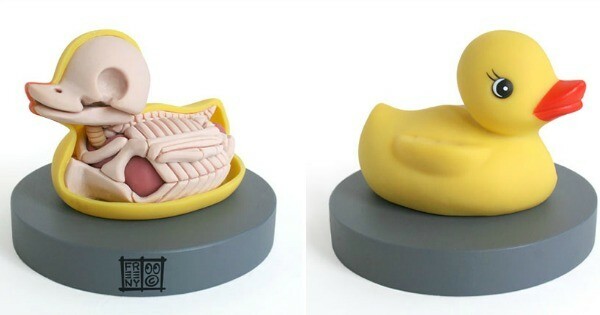 There’s more to this rubber ducky than meets the eye. 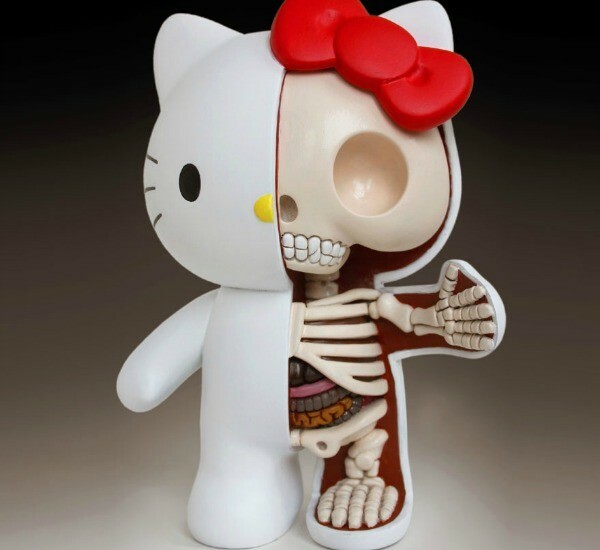 Hello inside out Kitty – nice to see you wore your red bow for the occasion. Mickey’s not afraid to let it all hang out. And Papa Smurf’s blue exterior is clearly only just a front. 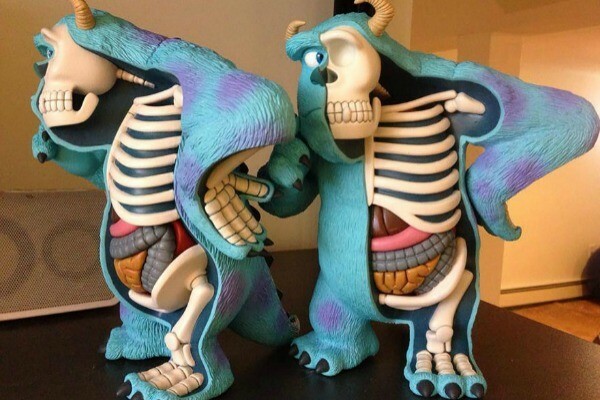 Sulley’s cagey appearance gives us a lesson in Monster’s anatomy. Poppin’ Fresh undoughy-interior is about as welcoming as the puppet in Saw. 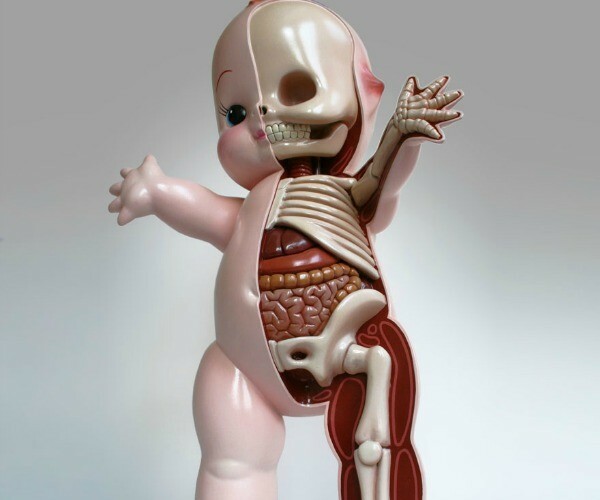 And 80s Toy Story baby is creepy enough with skin on. Run away children, run away. What do you think? 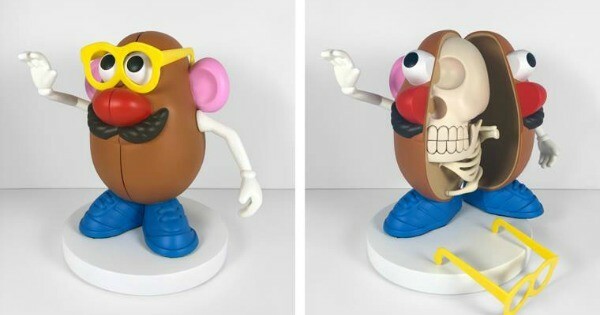 Are these works of art a sign of beauty and creativity or are they the things that children’s nightmares are made of? Maybe a bit of both? 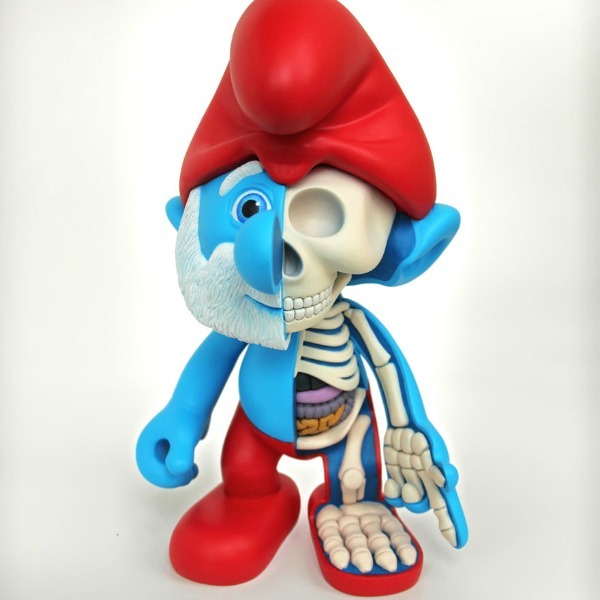 Check out his other sculptures and step-by-step images of the process at Moist Production. And browse through our vintage section for even more childhood toy nostalgia.